Let me first start by appreciating you for clicking on this link! It means a lot to me!! Thank you!! 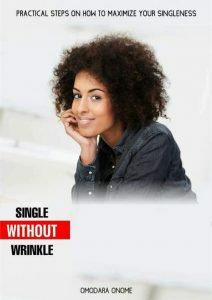 I want to specially introduce you to my new book titled SINGLE WITHOUT WRINKLE. It is a book that gives you the practical step on how to maximize the season of singleness. The truth is a lot of us do not want to wake up in the morning to an empty side of the bed; we crave for the feeling of being loved but what do we do when that love is taking time?? Singleness is a season and a phase a lot of people are scared to admit but I can boldly say it is the best phase of any one’s life if properly handled and used well. This book opened my own eyes personally and it brought me close to tears at some point because like every other young person I thought being in a relationship is the most important until I got to discover some hard truths which I shared in this book. The beautiful thing about this book is that even if you are engaged it will definitely help you, please make sure you read it with your spouse. I am so glad that I am able to share this with you! I am sure you will enjoy the meal as Pastor Bayo Olaiya called it. It is an ebook (in pdf format) published by Fourz media. 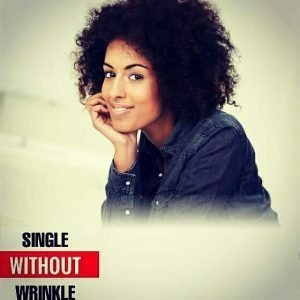 Ready to be that single without wrinkle? Pay/ Transfer to: First Bank. 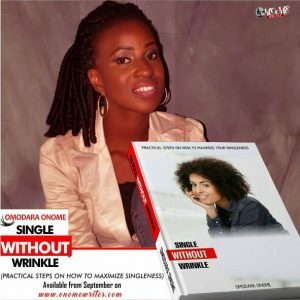 Omodara Oluwabunmi Onome 2016591998. After paying, please send the payment details to singlewithoutwrinkle@gmail.com and you would get your ebook within 4 hrs (after payment is confirmed). Alternatively, you could buy at okadabooks (it is in epub format on this platform). it is #300 on this platform, click here to buy on okadabooks. Thank you so much for being a part of this vision, I could not have done this without you; you give me reasons to keep moving on. Please share this page on your social media accounts with every one and let’s impact the world together. You don’t have to give up on love there is a better way!!! Fantastic!! I want 2 copies.. I have to commend you for the nice works you are doing. I so much cherish and respect those who make good impacts through their endowments. You are a legend by your trends.